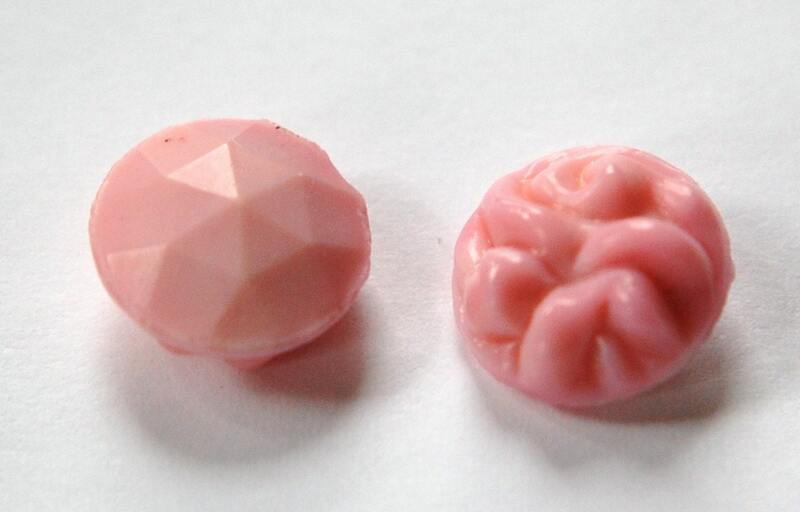 These are neat vintage glass cabochons. 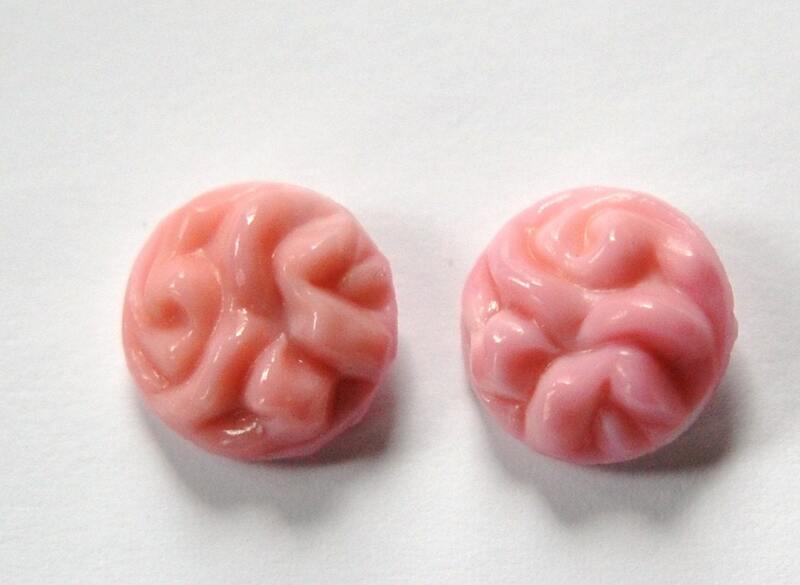 They are done in a creamy pink color. They have have a rippled or pinched looking top. These are not flat back backed. They have a slightly rounded and faceted back. These measure 15mm. You will receive 2 of these. These are gorgeous. Perfect for some settings I got some time ago. Super fast shipping and very nice packaging. I keep coming back to this shop. Thanks. Lovely items, as usual. I am going to have so much fun creating with all the items I received in this order. I am very pleased. Thanks.